Hello! 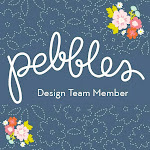 Welcome to the final stop on the Doodlebug Leap Year Blog Hop!! We couldn’t resist the idea of doing our first official “Blog Hop” on “Leap Year Day.” We'd like to invite you to join us as we have a Hopping Good Time today! I just love the create-a-card bases – this tri-fold is one of my favorites. Start at the Doodlebug Blog and “hop” on over to every blog you are sent to (be sure to hop in order). Since this is the last stop on the hop, you can go ahead and hop back to the Doodlebug Blog – and be sure to send them an e-mail so you can win!! Super fun card!!! love the little bee! What a cute card, its so girlie and cute!!!! What a fabulous idea for a folded card! Love it! Thanks so much for the share! I LOVE how you filled the frame on this card, Wendy! Fabulous!!! I LOVE your 3-d flowers and that bee is just too cute! tfs! Wonderful card. I'm hoping over to Two Peas to check this out. : ) Thanks for sharing. It was a really fun hop. Love the trifold card! thanks for sharing sale. such a pretty card...great design...thanks for sharing..
ooh, I think I need to take a close look at create-a-card products, they look like so much fun! So cute and springy. I love the little window. CUTE. So ready for spring. I saw your post first, but I started from the beginning. love your tri-fold card, so pretty! Doodletwine is definitely one of my fav. new products. Looks so good on cards! Darling card! I love the tri-fold format too! Love the colors and the twine on it! Sweet flowers, bee and ladybug! These tri fold window cards are the best! I love the sweet little bugs! Love all the flowers in the window. What great fun. What a cute card, love the trifold base and those flowers are so pretty, just the right amount of sparkle. Thanks! really enjoyed the card. Very colorful and beautiful! Oh I just love your card. So unique, I just love the window! I also love the bling and those springy colors. Too cute! I love the trifold idea. Very clever and cute. Thanks! ooooo I love these colors !!!! Love your card! The little window and your bright cheery flowers! love the window card, too cute. The window looks really cute on this card. I need to try that! Your card is adorable!!!! Love how you put the flowers in the window. Beautiful! Love the window cards! Oh my gosh, your card is adorable. Thank you for sharing where we can get our hands on some. Beuatiful card! I love all the little details and the design! Love the little flower centers - and the tri-fold. Thanks for sharing! I love the card! And thanks for sharing the "sale" info from 2 Peas! I love that Tri-fold card and might need to pick up a few! Wonderful card and I love all the accents! Really great card. Super cute. Awesome card- I love the card base too. Adroable card, thanks for the idea! I love that this was a tri-fold card. I can't wait to try to make one myself. Thank you for sharing it. Your card is so sweet! I love those pretty little flowers peeking through the window. Wow, this card is absolutely adorable!!! I love how it opens .. So cute! But I knew it would be... always enjoy your cards! So sweet, love your card. this has been so much fun with first blog hop! Love your card! I love how you put together all of the elements of this card...the bee and ladybug on the front really add fun to the card. Happy leap year day to you! love you card - the tri-fold is great and your idea really works. I love this window card. Thanks for the cute ideas. Happy Leap Year!!! Love your card and those card bases are such a neat idea! Thank you for sharing! I am loving the trifold! Good idea and the card is awesome!! It is snowing here, so this card really helps me think of spring! Great window card - Fun! How adorable. I love this card! The flowers are so cute. i am really loving these window cards! They are so fun! I'm loving all these cards with bee's. So sweet! That little bee is soooo cute and so is your card. such a cute idea! very creative!! I think the little bee is so cute. He looks so happy and makes me smile. Love the create-a-card bases. I love your color combo of baker's twine...nice! So pretty and soft with the use of pink. love the lady bug collect and the tri fold going to 2 pras! Love your card Wendy, so cute! I've never known what to do with a tri-fold card, thanks for the great idea! I love all flower and honeybee cards! I liked your details so very much! Oh -- how cute! Love the colours used and the idea of placing your sentiment on DP! the card is beautiful . Love everything about this card. It's perfect! Great card, so effective with the window. thank you for the great blog hop. I love the tri-fold window, it's so cute. What awesome colors too. Love the dimension of the card. Very very cute!! Adorable card. It definitely makes me want Spring to get here in a big hurry. I am tired of Winter. Tri-fold window card? Wow... it's awesome!!! Seriously... LOVE IT! What a sweet pink Trifold card! A great card to end the blog hop! Such a cute card, love the dimension with the flowers! Your card is absolutely adorable. Love how the flowers peek through the window!!! Thanks for sharing!!! Very cute card! I love the window peak. This is such a cute card and thanks for the tip about the card bases being on sale at 2peas!! Wendy thanks for playing along with the team. I'm glad we ended the hop with your cute blog and projects. Your rock! Oh my goodness, this little card is ADORABLE! I am just loving that cute little bee and love the window card with the flower garden peeking through! Love this card!! it is so clear&simple!!! so pretty and sweet window card! I want to try that too. If you don't mind me asking how do you keep the objects inside the card from not popping out of the window? Love all the pink and the little bee! Beautiful collection. Your card is awesome! I just love the little window with the flowers inside. Gorgeous! I love your little window card! I had a great time hopping through and seeing all the spring inspiration! I love your card! It's very cute! Love the tri-fold card, it looks so fun and cheerful and easy to make. Adorable card. I like the tri-fold card as well. So cute, love the twine! What a great Thank You card! I love the card base and the fact it is on sale! A trifold card with a window....LOVE it! Awesome card - this blog hop was a lot of fun - thank you! Beautiful card! I love the baker's twine. I'm addicted to twine. Thanks for sharing. I love how your card trifolds! Thanks for sharing it is absolutely beautiful! This card is some super super cute and beautiful!